Available Sizes/Colors: Size "Toddler" "S (4-6)" "M (6-8)"
Your little stinker will look the part in this adorable toddler and child size plush skunk costume! 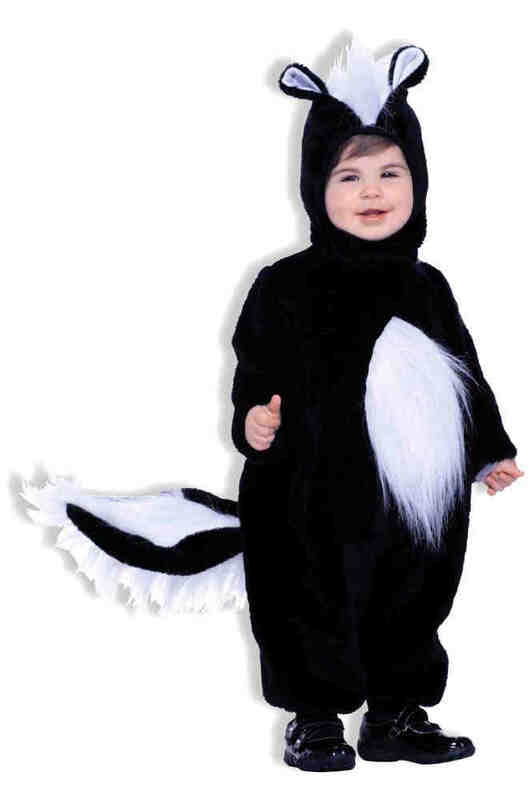 Includes black plush jumpsuit with white faux fur stripes, attached tail, and skunk hood. By Forum. Check out more options in our Animal and Insect Costumes section!